Me Made It-$4.01 for gas on Average! Home » News » Local News » Me Made It-$4.01 for gas on Average! 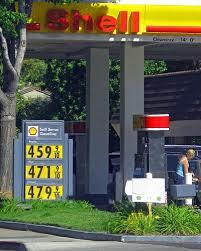 California is leading the nation again this week with the sharpest price increase at the gas pump. Many pumps increased by 20 cents a gallon pushing the state average to 4.01, the state’s highest since July of 2014, and a 60 cent jumo in just the last month. Experts at triple A say planned and unplanned maintenance at California’s refineries is the major cause. Motorists however, facing sticker shock at the pump, question the timing with great weather and the Easter weekend coming up.